Welcome to the home page of the west's largest continually running re-enactment and living history timeline event! For more than twenty years now the Fort MacArthur Museum has sponsored what has turned into the west's largest multicultural celebration of world military history. 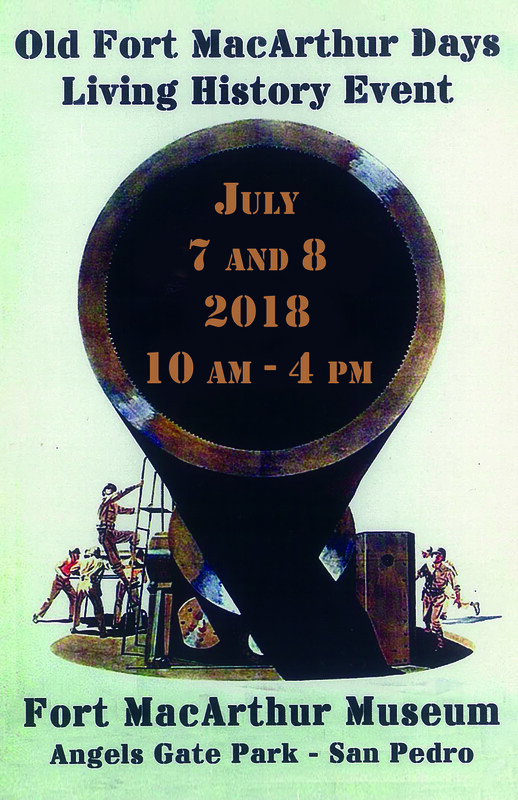 What began as a small gathering of cannon enthusiasts has blossomed into a truly spectacular event showcasing the history of military activity from around the world and across time. The hours of this years show are 10 a.m. - 4 p.m. both days. Tickets cost $15.00 per person and benefit the restoration, preservation, and education programs of the Fort MacArthur Museum. Tickets can be purchased at the front gate to the museum beginning at 10:00 a.m. on both days and as always parking is free. Food and drinks will also be available at an additional charge. OFMD is an event with free parking however we encourage all our guests to carpool in order to reduce the number of vehicles within the park area. Please check the parking information page for the latest information. Parking and traffic control is being provided by the Civil Air Patrol. Please follow the directions of the uniformed cadets. The Fort MacArthur Museum is Located in Angels Gate Park, San Pedro. From Los Angeles, take the 110 Freeway South to the Gaffey Street exit. Turn left onto Gaffey and continue through the city. When you reach the 25th street signal, stay to your left and continue towards the ocean. As you round the second hill, look for the 36th Street (Leavenworth Drive) entrance. Follow the access road to the museum's main gate. To maintain traffic flow, and allow access for emergency vehicles, we ask that you do not park along the north fence of the Leavenworth Drive access road. Please follow the directions of the parking lot staff and arrive early for best parking. Content � 1994 - 2015 The Fort MacArthur Museum Association. This web site has been prepared and is maintained by the Fort MacArthur Museum Association. We welcome email asking for additional museum and historical information. Comments or suggestions concerning this web site should be addressed to the webmaster. The opinions expressed in Fort MacArthur Association publications are those of the Fort MacArthur Museum Association, contributors, and members. They do not necessarily reflect the views and opinions of the City of Los Angeles Department of Recreation and Parks or any individuals employed by any department of the City of Los Angeles.